You are receiving this email because %Subscriber:EmailAddress% is subscribed to The Grain. Manage your Subscription here. I have been getting outside doing the Spring cleanup! 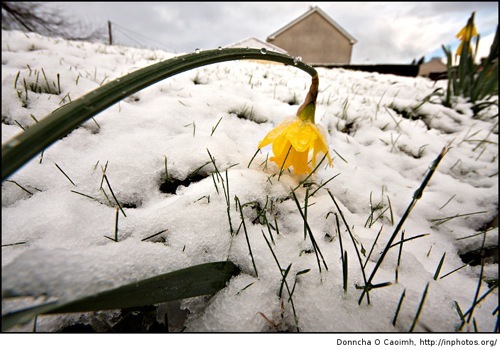 I can't wait to see leaves on the trees, but I have seen some tulips and daffodils starting to pop up while the snow finishes melting. Soon the wonderful Farmer's Markets will be here! What is on your to-do list this Spring? 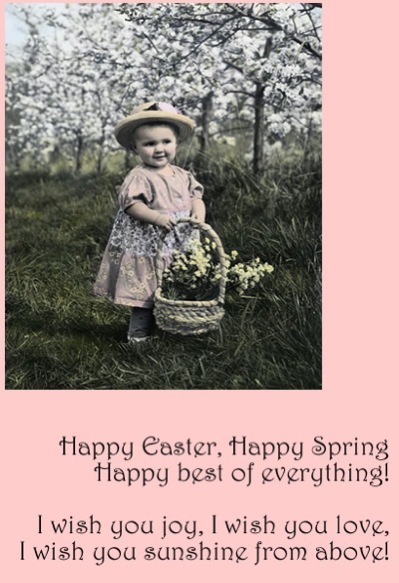 How are you enjoying this Spring 2011? Are you ready for farmer’s markets and fresh local foods and vegetables? I know I am! Feature Article: Many pet owners ask if flax would also benefit their pet. The fact is all pets -dogs, cats, horses, etc- can have impressive benefits from the added Omega 3. Scroll down to the Feature article and read the 6 ways your pet can benefit from flax. 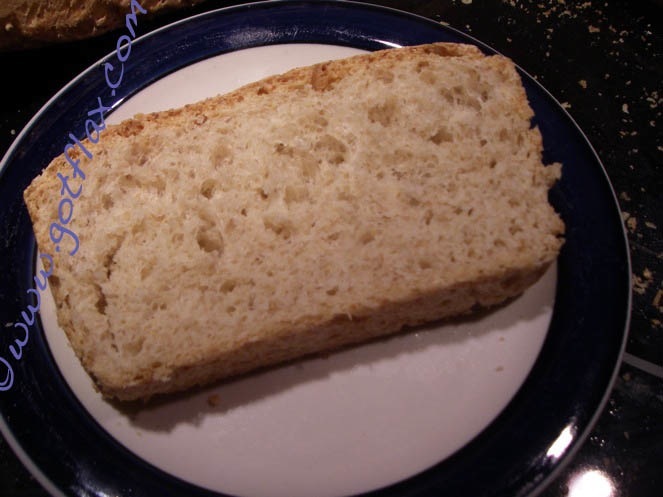 Feature Recipe: Flax Bread with Photos! Flax bread recipe is another delicious and healthy recipe I have developed to help you on your journey to healthy living! I would love your feedback. Coupons are good until May 31, 2011. Maple Grove Farmers Market June 9 and Thursdays 3-6pm. More info + directions (Opens up in new window). Our pets deserve the best. This includes good nutrition. Essential Omega 3 oil helps the body heal and maintain itself - the only way to get Omega 3 is through eating the right foods -pets, just like us, can't produce Omega 3. Many pets are not getting quality Omega 3, even though we are spending more money on buying top quality pet food. Much of pet food has had much of the Omega 3 nutrients stripped from it because Omega 3 goes rancid quickly, so pet food companies remove Omega 3 so pet food can be stored longer. However, this leaves our pets vulnerable to an unhealthy balance of Omega 3:Omega 6 –this is very damaging to their body. An excellent way to help your pet get a healthy Omega 3 balance of nutrition is to add Ground Cold Milled Flaxseed to their regular pet food. Not only will your pet have a glossy coat, but the Flaxseed Omega 3 will heal and soothe dry and irritated skin. Omega 3 from flax seed helps heal and soothe dry and irritated skin by giving the pet the nutrients it needs to help the animal’s coat and skin. Many sheep, horse and dog breeders add flax seed to their animal’s food because it so beneficial for the skin and the Omega 3 gives their animals a shinier coat. Research confirms that deposits of Omega 3 essential fatty acids left on the animal’s coat surface are essential for healthy, shiny coats. Veterinarians agree that pets that don't have enough Omega 3 essential fatty acids will eventually have health problems including dry, itchy skin and dull or shedding coat. Flax seed Omega 3 oil along with antioxidant lignans help build and support an active and strong immune system for our pets. Flax seed has also been studied for it's anticancer, antibacterial, antiviral and antifungal properties. Because of this, Flaxseed can help fight infections. As a great source of amino acids and highly digestible proteins, ground flax seed will also help pets to stay healthy and strong. Flax helps growth and development for many reasons, including being a great source of minerals: Calcium, Phosphorus and Potassium and vitamins: B6, Folic Acid, Niacin, Riboflavin and Vitamin E.
Ground flaxseed has both insoluble and soluble fiber, which work gently and help heal the intestinal tract. Prevention of constipation is very important and it additionally protects the digestive system of our pets. Flax seed omega 3 and lignans are also beneficial for treating, arthritic pain, chronic inflammatory disorders, and inflammation. Our pets have many of the same nutritional needs that we have, including needing Omega 3. Omega 3 essential oil needed for healing and maintaining of cells. Flax seed is a perfect way to get Omega 3 along with other excellent nutrition into their diet. Be sure it is quality cold milled flax (or grind it yourself)! 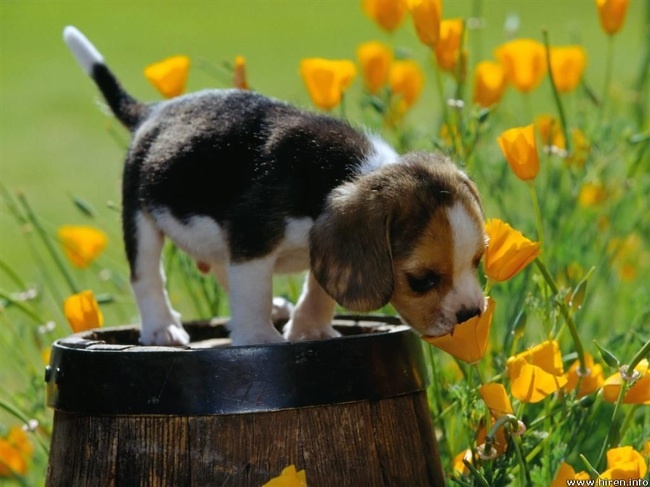 Try adding flax to your pet's food for 1 month and see what benefits you notice. Remember, good nutrition can help our pets heal their bodies. 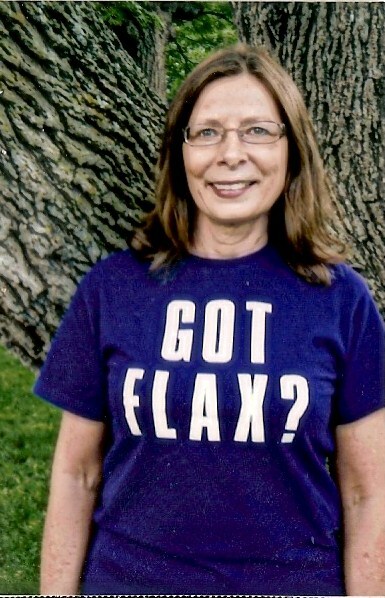 "Dear Ellie, Thank you for the order and I would like to say that using this flaxseed has changed my life by making my body feel so different that even though I'm 48, I feel like I'm 30 years old. Flax Bread Recipe is your visual guide- how to make bread! My secret recipe that is EASY + delicious homemade bread recipe for FLAX BREAD has PHOTOS! Read for the directions to the Flax Bread Recipe. Constipation and Flaxseed Meal: Can it help? Constipation and Flaxseed Meal –Can I get relief from Flaxseed for constipation? ...Could I take flaxseed for constipation? -The coupons above are SPECIAL for You, my newsletter subscribers! ~Good thru May 31, 2011.